AT&T indicated Friday that it no longer intends to make allegations of political bias as part of its defense against the Justice Department's lawsuit to block its purchase of Time Warner, CNN's parent company. When the DOJ filed the lawsuit in November, AT&T and Time Warner claimed as one element of their public defense that the government was "selectively enforcing" antitrust law in targeting the deal, and that it was motivated to do so because of President Donald Trump's animus toward CNN. But a brief filed by lawyers for AT&T on Friday evening outlining the arguments they will make when the case goes to trial later this month contains no reference to that defense, or to Trump's attitude toward the network. A separate brief filed by the DOJ said the government does not expect AT&T to argue selective enforcement. Now the case will likely focus solely on whether the merger will raise prices, stifle competition and harm consumers. Shortly after the merger was announced in October of 2016, Makan Delrahim -- who was a law professor at the time, but is now the head of the DOJ's antitrust division -- said in an interview with a Canadian radio outlet that he saw no antitrust problems with the deal. Soon after he was confirmed to the DOJ in 2017, the government sued to block the merger. The DOJ has said in court that there was no abrupt change in tactics, and that asking for structural remedies and suing to block the merger had always been possibilities. But AT&T had argued that Delrahim's earlier comments, plus Trump's public statements about CNN and comments he'd made during the campaign saying he felt the deal should be blocked raised the possibility of selective enforcement. Now it's likely Trump's comments about the merger and CNN won't even be mentioned during trial. Last year AT&T asked for logs of any written and oral communications related to AT&T, Time Warner and CNN between the White House and the attorney general's office, between the White House and the DOJ's antitrust division, and between the attorney general's office and the antitrust division. While the government provided logs of communications between the White House and the antitrust division, which they said showed no "untoward" communications, it declined to provide the other two types of communications logs. Though the government declined to say whether or not such communications with the White House existed, Delrahim said in an affidavit filed by the DOJ that at no time did he "receive orders, instructions, or directions." AT&T's lawyers tried to argue that Delrahim never mentioned whether any conversations about the case happened, and the government did not confirm or deny that they may have taken place. During a status conference hearing last month, the DOJ told the judge overseeing the case, Richard J. Leon, that the request for communications logs was too broad and was "a naked assertion with no facts." AT&T, the DOJ said, was using Trump's comments about CNN as "a 'get out of jail free' card for their illegal merger." In deciding last month to block discovery of the White House communications, Leon warned that the parties could not afford the time that would have been required to litigate the matter, and that AT&T had failed to prove that the government had never before prosecuted such an antitrust case. "So while [this case] may, indeed be a rare breed of horse, it is not exactly a unicorn!" Leon wrote. On Friday a group of former DOJ officials including former U.S. Attorney Preet Bharara and President Richard Nixon's White House counsel John Dean (both of whom are CNN contributors), filed an amicus brief asking the judge to reconsider allowing AT&T to obtain discovery and testimony related to any possible "White House interference" in the case. "When the president specifically threatens to use the power of DOJ to punish a perceived opponent, it raises serious constitutional concerns," the former officials wrote in the filing, which was organized by the Protect Democracy Project. "Public confidence in the rule of law demands a full inquiry, if for no other reason than to ensure the public that the Department continues to adhere to its obligation of ensuring the fair and impartial administration of justice for all Americans." 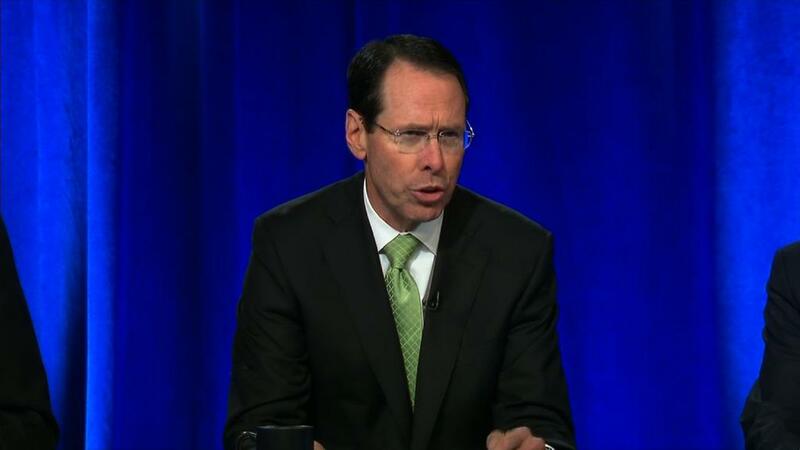 Regardless, AT&T will now focus on trying to disprove the government's claims that the merger will stifle competition, raise prices and harm consumers. AT&T has previously said it had offered the DOJ the same behavioral remedies that the government agreed to in the 2011 Comcast and NBCUniversal merger, the conditions of which were approved by Leon. One was a consent decree under which AT&T would submit to mandatory arbitration of carriage deals and would not black out any distributor of its channels during a dispute over such a deal. But soon after Delrahim was confirmed, the DOJ told AT&T that it would have to spin off either satellite provider DirectTV or Turner (the unit of Time Warner that includes CNN) in order to gain approval for the deal. The trial is set to begin March 19 and to last three weeks. The judge is expected to make a decision sometime in April.